Unique, attractive and low maintenance—that’s just the most fitting description for succulents. When you thought you had landed on the most astounding succulent, nature surprises you with even more than that. Exploring succulents never ends. 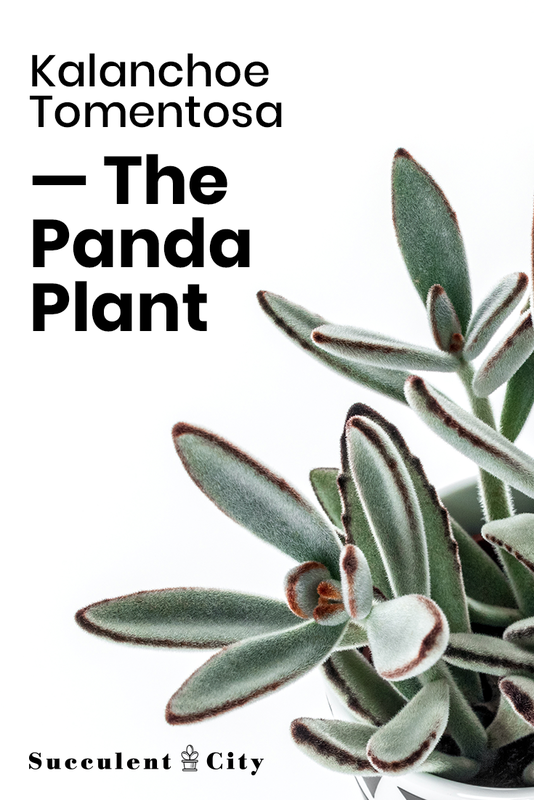 Whether you recently joined the succulents and cacti club or you’re an old hand trying to enrich your collection, the Panda plant might just be your best fit. Its unique foliage makes it a popular decorative ornamental in living rooms, offices and landscapes. Quite forgiving and an easy care succulent, the panda plant will not die if you forget to water it once in a while. Plus, it does well indoors and can blend well with other succulents. The panda plant is a slow growing perennial succulent with unusual foliage. It has a robust, branched stem, with its base turning woody as the plant gets older. Reaching to a height of only up to 45cm, Kalanchoe Tomentosa’s branching stems gives it an upright, shrub-like appearance. The panda plant is widely recognized for its furry leaves which are fleshy, oval and grey green in color. The leaves lack a stalk and are covered by white or silvery fine hairs (trichomes) making them have a velvety touch. (Talk about soft). The tips and edges of its leaves are tinged with a dark chocolate color which gives it an attractive appearance. The leaves grow in loose rosettes borne on a woody hairy stem. (By the way, our team snacks on these Hershey’s dark chocolates almost daily, we might be addicted). Kalanchoe Tomentosa will readily bloom in its natural habitat. The flowers are tubular and bell-shaped, usually produced at the tips of the leaves. Blooming is mainly in summer or winter with the plant producing yellow green flowers and dark brown petal tips. However, the panda plant will rarely bloom indoors. If you’re dying to see blooms show up on your Tomentosa, you can get it outside during summer or spring to increase its chances. The botanical name for the Panda plant is Kalanchoe tomentosa. 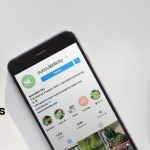 The word tomentosa means “covered with fine hairs.” It belongs to the Crassulaceae family which includes more than a hundred species including the humble jade plant and the burro’s tail. Also known as the chocolate soldier, Kalanchoe tomentosa has a bunch of other names. The most popular ones include; Panda bear plant, plush plant, white lady, panda plant, donkey ears and cat ears. Although native to Madagascar, Kalanchoe tomentosa is widely grown as a houseplant in many parts of the world. Its original habitat is granite rocks. Typical of other succulents, it stores water in its thick, fleshy leaves as it has been adapted to xerophytic conditions. When it comes to growing or caring for a panda plant, nothing could be easier. The plant is already adapted to surviving in desert conditions and it will thrive on neglect. However, as with any other succulent, specific environmental conditions will favor its growth. Keep your Panda plant in the following ideal conditions for optimum growth. What is the ideal temperature for a panda plant? The panda plant can thrive in a wide range of temperatures. Mostly, it will do well in warm temperatures of between 60 to 75 degrees Fahrenheit, though slightly lower or higher temperatures wouldn’t harm it. You can take your panda plant outdoors during spring and summer but be sure to bring it back during freeze cold and frosty nights. Cold temperatures will quickly damage your plant and it might even die. Conversely, exposing the plant to direct sunlight for very long hours during summer may lead to sunburn. How much light does the Kalanchoe Tomentosa plant need? This Kalanchoe will produce healthy and rich leaves if exposed to bright sunlight. You can throw in a few hours of shade just for the balance. If growing the panda plant indoors, set it on a sunny window in the morning and late afternoon. Avoid setting it on the hot midday sun as this will damage its tender leaves. Be careful when growing it indoors. Poorly lit spaces may lead to succulent etiolation making your panda plant to be stretched, curved and scrawny. If necessary, get a grow light to ensure enough light on your plants. 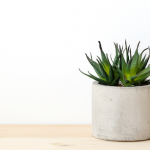 Most succulents hate sitting on damp soil for extended periods of time. Kalanchoe tomentosa is no exception. It will easily rot from the roots if the soil remains wet for a long time. To prevent this tragedy, use soil that has good drainage capabilities. Nothing beats a cactus commercial potting mix. It is specially formulated to mimic the desert soil so that it can provide the proper Ph for your plant while keeping it healthy. You can get commercial cacti potting mix online for a few bucks. Here’s some organic soil that we’ve found highly rated on Amazon. 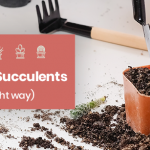 For you DIY geeks, you can make your own cacti mix by mixing garden soil with equal amounts of pumice or perlite. Make sure its grainy and doesn’t stick as that would be disastrous to your panda plant. This desert succulent doesn’t necessarily need a fertilizer for it to show robust growth. Feeding it once or twice a year is enough. Only feed it during the growing season (Spring and summer). 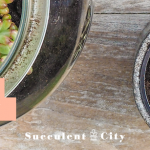 Use a diluted liquid fertilizer that’s specific to succulents. The panda plant has numerous adaptations to enable it to survive on little water. Its leaves are endowed with a covering of white hairs which prevents air from directly moving across the surface of the leaf. Consequently, this reduces the loss of water vapor that’s usually caused by transpiration. The trichomes are also closely stacked together and therefore shield the leaf from harsh environmental conditions. Additionally, the white or silver color of the leaves reflect light preventing overheating. With such adaptations in regard to water storage, the last thing this succulent would need is overwatering. Flood it thoroughly and only do so again when the soil has completely dried out. Do no leave any excess water in the soil, let everything drain down or pour out the excess water. Water the panda plant from the bottom. The wooly, velvety leaves will begin to rot if they get in contact with any water. In case this happens, quickly wipe off as much water as you can from the leaves. Remember to be gentle as the leaves can break off from the stem if a lot of force is used. What are common problems for panda plants? Yellow leaves on your panda plant is indicative that you’ve been overwatering this plant. Leaves will be mushy as an early rotting sign due to excess moisture. This can be averted if caught early. Cut back on watering and let the soil dry out completely. If unsure, give the soil up to 2 days for it to dry. With Kalanchoe tomentosa, it’s better to underwater than to drown them. You can pluck out the mushy leaves to prevent the spread of the rot. Mealybugs usually have a whale of a time camouflaging in Kalanchoe tomentosa’s white leaves. They produce some white powdery substance that can easily be confused with the normal color of the leaf. Careful inspect your plant from time to time for white little bugs. You can use 70% isopropyl alcohol or neem oil to ward them off. If ingested, the panda plant is mildly toxic in all its parts to humans and pets. Keep it away from curious toddlers and small pets who may want to taste its leaves. 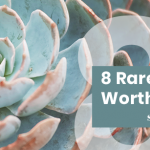 When it comes to succulents, getting more plants is never a concern. Propagation always completes the equation. In Kalanchoe tomentosa, this is done by leaf cuttings. The best time to do it is during spring or summer when conditions favor growth. Simply pluck a few leaves from your plants. Just pick enough as plucking many leaves will weaken the plant while just one may fail to produce roots. Allow the leaves to callous for a few days to prevent rot of the fresh wound when planted. Get commercial cacti mix and place the calloused leaves on it. Slightly dampen the soil and water it once it has dried out completely. Place the propagates in a spot where they’ll receive lots of indirect sunlight. It might take up to five weeks for the roots to develop and new buds to appear. Once new growth has set in, move the plants in their own pots having well-draining soil. Be careful with watering as it might be tempting to overwater them at this point. You’ll never go wrong with waiting for the soil to dry out in between watering. The panda plant is a fairly slow growing succulent which doesn’t need repotting that often. You can repot it once in every two years to a size larger than its pot. Once it reaches 45cm long, it stops growing which means less repotting. Even when fully mature, Kalanchoe tomentosa doesn’t require a big pot unless a lot of branching has taken place making it top-heavy. Where can I buy panda plants? Oh yeah, we saw this coming. Who wouldn’t want to grab a Kalanchoe tomentosa given all its amazing features? Locally, you can buy one in plant nurseries, conservatories or garden centers near you. Hunting during spring or summer may largely increase your chances. If that doesn’t prove successful, try online stores such as SucculentBox, Etsy, Amazon or Mountain crest gardens. Do you understand why Panda Plants get their nicknames from now, quite neat right? Do you have a panda plant? Let us know and what you do to keep it healthy and vibrant!